Their on-field banter spilled over to the press conference room as Virat Kohli didn’t care for the call ‘what happens on the field remains on the field’. The trigger point being when Mitchell Johnson threw a ball back at the striker end after Kohli played one in the follow through, it hit Kohli and that got two of them going throughout the day at the MCG. 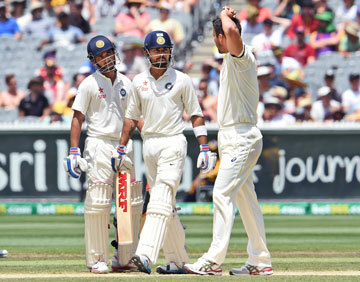 “I was really annoyed with him hitting me with the ball, and I told him that’s not on,” Kohli said. 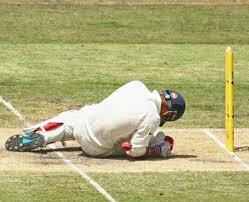 ” ‘Try and hit the stumps next time, not my body.’ You have got to send the right message across. I am not there to take to some unnecessary words or chats from someone. I am going there to play cricket, [and to] back myself. There’s no good reason that I should respect unnecessarily some people when they are not respecting me.” Read the rest of this entry ? When you’re young and impetuous, waiting makes little sense. Patience is a game for men who have seen years slip through their fingers; who have had decades melt together, and moments stretch into months, in their minds. The millennial generation, of whom Dimuth Karunaratne is a full-blown, card-carrying member, is the epitome of youthful impudence, many say. Everything in 140 characters. Obnoxious photos of food, reality TV stars, and ADHD. So far in Karunaratne’s career, he has been a study of millennial defects – as injudicious with his strokeplay as with some of his tweets, for which he has occasionally got heat. On the tour of England this year, he was posting up pictures of his shopping, then going out, hitting a crisp 30-odd, before gifting his wicket away. Read the rest of this entry ? A Revolution in Test Cricket! Brendon McCullum transforms the run-rate! A run rate of 107.44 when scoring 202 runs off 188 balls might seem a rare feat. Brendon McCullum achieved that recently on the third day of New Zealand’s Third Test Match against Pakistan at Sharjah on 28th November 2014. Well then! the same Brendon McCullum blasted 195 runs in 134 balls at a run-rate of 145.52 at Hagley Oval, Christchurch on the first day of the First test against Sri Lanka on 28=6th December 2014. As far as I know this sort of scoring rate with such regularity is unheard of in modern Test cricket. Brendon McCullum hit the fastest Test hundred for New Zealand – off 74 balls – and finished on 195 off 134 against Sri Lanka in Christchurch © Getty Image Read the rest of this entry ? 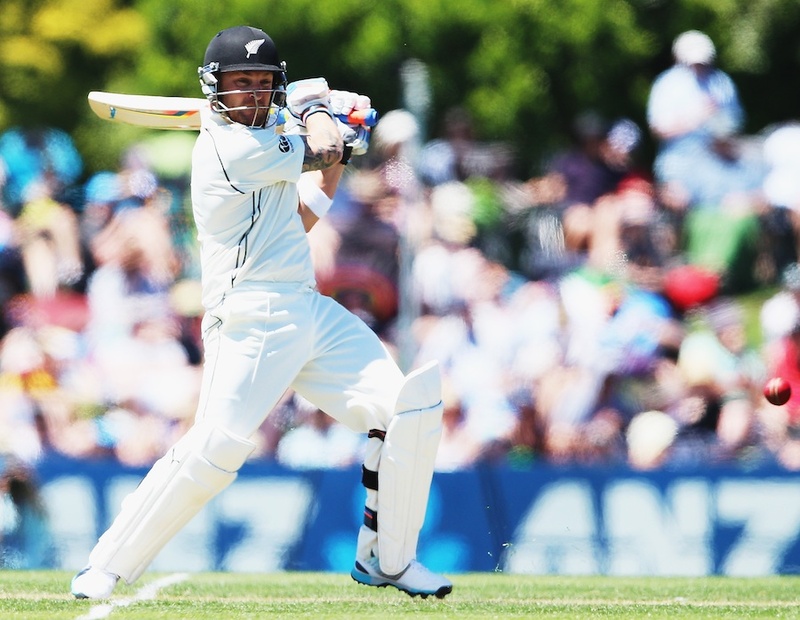 Brendon McCullum KO-ed Sri Lanka on Boxing Day with the fastest century in New Zealand’s Test history. Not content with that, he nearly broke the world record for the quickest double-hundred, but fell five runs short – for 195 off 134 deliveries. McCullum put severe pressure on the bowlers and fed off the resulting inconsistency to ensure that all his four 50-plus scores in 2014 were turned into massive centuries – 224, 302, 202 and 195. The rest of the side played in his image and even an out-of-form James Neesham found fluency such that the fifth-wicket partnership produced 153 runs in 117 balls. The Pakistani government’s recent judicial execution Aqeel Ahmed alias Dr Usman alias Kamran alias Nazir Ahmed for his key role in an attack on their military HQ — read within the context of ISIS beheading activities and the ISIS’s worldwide appeal for like-minds in the West to resort to high-profile symbolic killings, revives our attentiveness to the vulnerability of high-profile sportsmen on official duty for their countries. Not only sportsmen but also officials as Broad, Taufel and others will tell you in the instance of the Lahore attack. So, this reminder will be via a series of images –supplemented by point form thoughts below. 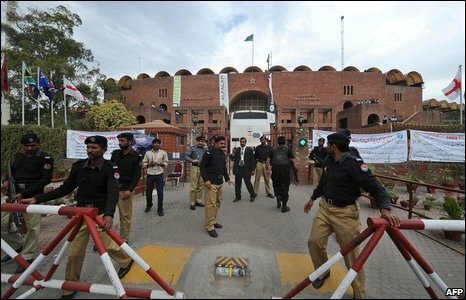 Police and security in a tizz at Gaddafi Stadium in Lahore Read the rest of this entry ? The introduction of neutral umpires in Test cricket led to a drop in the number of LBW decisions going in favor of home teams, a study has revealed. 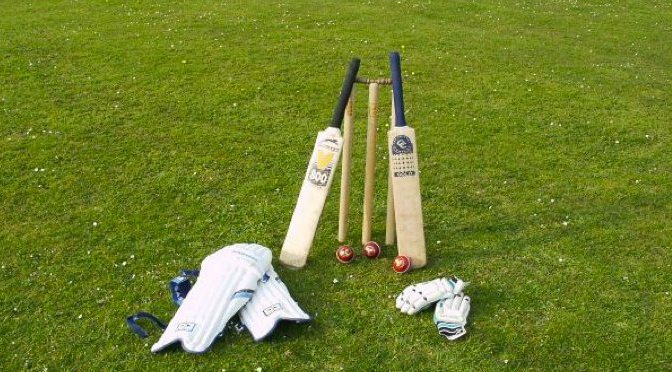 The findings from research by economists, published by the Journal of the Royal Statistical Society, come amidst renewed debate on whether neutral umpiring is still required in Test matches following the introduction of the Decision Review System (DRS). Read the rest of this entry ? You are currently browsing the Critiquing Cricket blog archives for December, 2014.